Energies are available up to 340 mJ at 1064 nm and repetition rates up to 100 Hz. Harmonics available up to 266 nm. 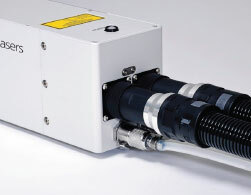 Designed around a Stable resonator, the laser can be run at pulse repetition rates of up to 100 Hz making it extremely useful in imaging applications and material processing applications alike. 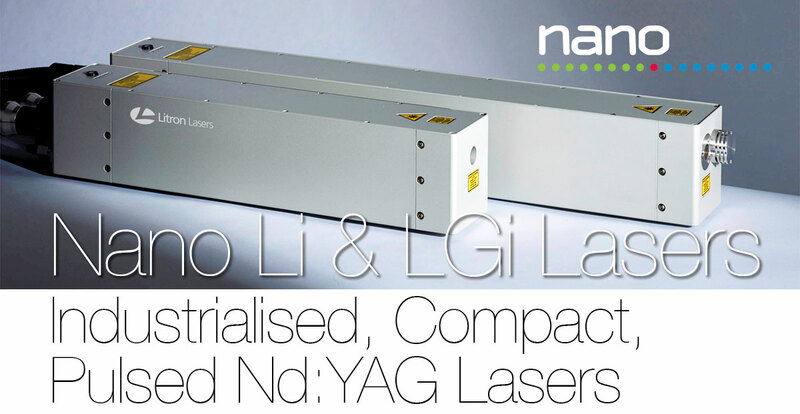 The Nano LGi is a compact and rugged Q-switched pulsed Nd:YAG laser. Energies are available up to 300 mJ at 1064 nm and repetition rates up to 50 Hz. Harmonics available up to 266 nm. The Nano LGi series uses a Super-Gaussian resonator. The pulse lengths are typically shorter than those from a conventional stable resonator. This along with the naturally low M2 increases the peak power density, which is ideal for ablation and spectroscopic applications.